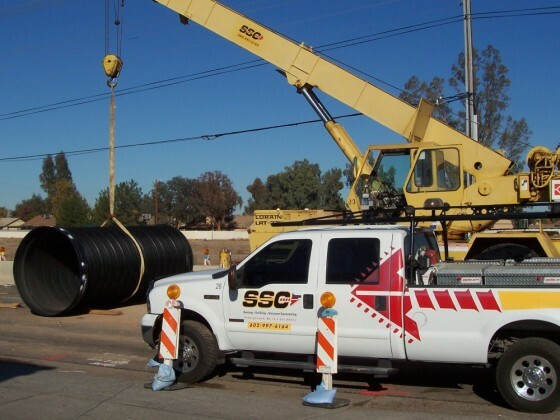 Description: Installation of 150′ of 82″ steel casing for a 72″ Duromax storm drain. 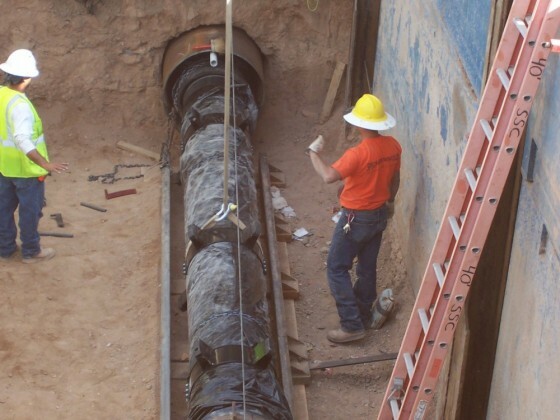 Challenges: Existing utility conflicts consisting of a 12″ HP gas to the south and an 8″ clay sewer line to the north, leaving 14′ between for small bore pit-32′ long x 12′ wide. Results: With the first phase complete, SSC then performed a second bore at the same location, just inches above the new storm drain. Utilizing trenchless auger boring SSC installed 130′ of 36″ casing for a new 20″ DIP waterline. This phase was completed in January, 2010.